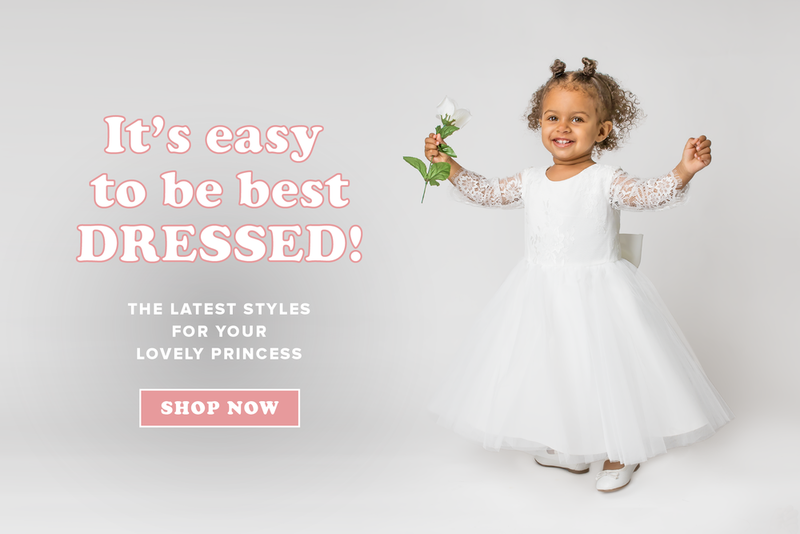 Monbebe Lagos understands that when you buy a special occasion dress for your little girl, it’s more than just a simple dress – it’s marking a moment in time. From baptisms and holy communions to special holiday gatherings and weddings, we cherish any opportunity to be a part of your precious memories. 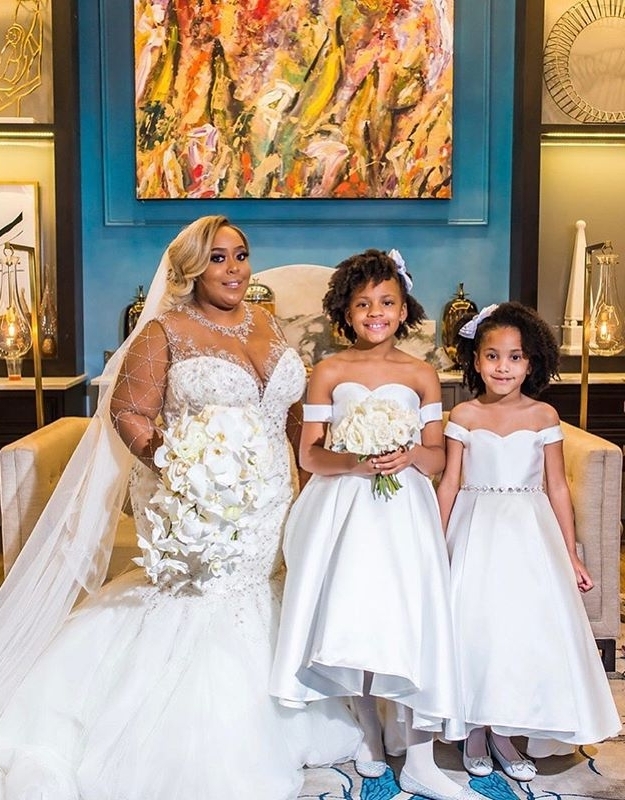 Monbebe Lagos specializes in providing our customers with beautiful and sophisticated flower girl and special occasion dresses here in Katy, TX and abroad. When a new dress for the Monbebe line is created, we pay attention to every detail. We think about how the dress fits, flows, and moves so it will photograph beautifully and look perfect on your little princess throughout the entire event. We also take dress buying a step further and give you the option to fully customize any design you see on our website. This is especially useful when it comes to creating custom flower girl dresses for weddings. If you had a particular theme or would like the flower girl to wear a sash or ribbon that matches your wedding colors, we are more than happy to accommodate. We do our best to make dress shopping easy and stress-free, so you can focus on creating timeless memories. Take a look at our flower girl and special occasion dresses that are available in Katy, Texas, as well as in Canada, Mexico, France, Australia and many other countries. Our dresses are ideal for any special occasion and we trust you’ll find the perfect one for your little sweetheart. Remember, we can also help you design your own custom flower girl dress to give you a one-of-a-kind design that will be absolutely stunning. I ordered my daughter's dress for her christening day. I was looking for something delicate and i found it in Monbebe! Perfect fabrics, excellent communication, shipping on time and unique pattern. Thank you so much for everything! I needed a dress at the last minute and had no time for tailoring. Received the dress on time and it fit perfectly!! Thank you Monbebe, it was beautiful!! The flower girl dresses for my daughter's wedding turned out absolutely beautiful, we were able to pick her own colors and do a couple modifications and we could not have asked for a better made quality dress! I would order from this company over and over again! Absolutely gorgeous dress!! It fit the flower girl perfectly and she loved it!! Absolutely beautiful dress! Perfect fit! Arrived very quickly!! My daughter loves it! Exactly as we had hoped. Thank you! We are in love with this dress! Cant wait for our girl to wear it! This is a beautiful and well made dress. The dress was so pretty! My daughter wore it as a bridesmaid in a wedding! This dress was absolutely gorgeous and so well made. True to photos and process and delivery times were speedy. Just what i expected!!! Beautiful dress. Exactly what I was looking for and fits my flower girl perfectly! Very excited about this sweet dress! It's exactly as pictured and sooo well made! Love it! LOVE LOVE LOVE! Shipping was faster then expected and packaged well. Thank you! Dresses were beyond gorgeous. Quality dresses for sure. Beautiful dress and she loved wearing it! LOVE THEM! Communication could of been alittle better but I really think the dresses are perfect!